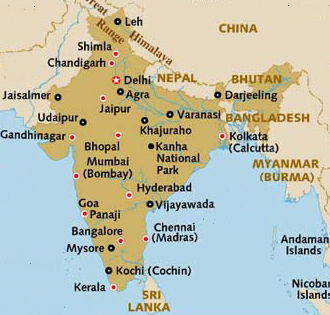 Let’s move from the northern leg of our India trip to the southern leg. I struggled with how to describe our northern leg and I’m finding the southern experience if anything even more difficult. 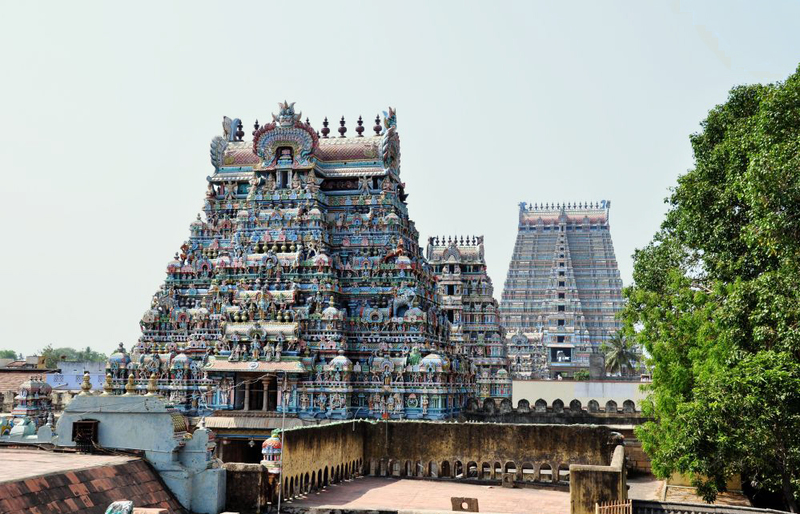 When we flew from Delhi to Chennai, we left an arid region that, although with a large Hindu majority, has preserved the historic influences of Islamic empires through its architecture and culture. Chennai, on the Bay of Bengal, was to prove to be different from the north ethnically, linguistically, culturally and architecturally. The weather is tropical, hot and humid, with an average year-round temperature (with little variation) of 33C/91F and average annual rainfall of 55”. Quite a difference from feeling like you are in Arizona, as I did in the north. And as we traveled from Chennai, the differences would be even more pronounced, and the weather warmer and wetter. We were to find that, aside from the lushness of the countryside, the south has higher economic growth than the rest of the country, thanks to broadly-based agriculture and a blossoming IT sector, and also has higher levels of literacy and lower fertility rates. Chennai (Madras). Chennai had more lessons to teach about the extent to which India has been a crossroads of the world over the millennia. If you stop and consider the position of the Indian subcontinent between Asia to the west and Africa, Arabia and Europe to the east, it becomes clear why so many cultures have stopped and made their mark on this land. And so, just as the north was settled by many people who came overland from Asia or Persia, the south has been influenced from people arriving by sea. In Chennai, there are strong influences from the Portuguese and the French, but also by Christians trying to spread the word as far back as St. Thomas (yes, the St. Thomas) around 60 AD. And this doesn’t include the British, who of course influenced the entire country (in good ways as well as not always so good), bringing a unifying language, a unifying government system, and a unifying transportation system through the railroad. 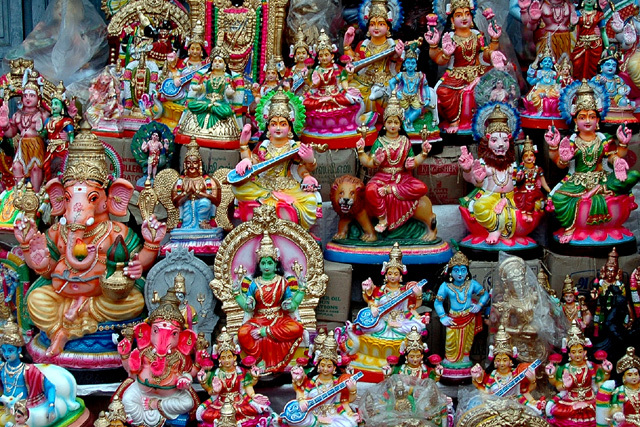 Our time in Chennai introduced us to what for North Americans is a truly unfamiliar experience, visiting Hindu temples. We were to visit several large, overwhelming temple complexes between Chennai, Pondicherry, Trichy, and Madurai. 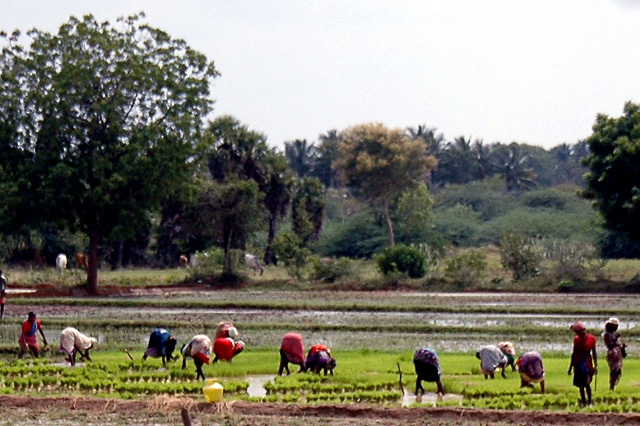 Trichy and Madurai. I think of these cities as temple towns. Life goes on, but people come because they are drawn to their temples. I use the plural because there are multiple, enormous, intricate temples, orthodox and rich in ritual. What is it like to visit holy places whose customs are so different from those you are used to? Awe-inspiring, challenging, unfathomable. The worshippers buy or bring offerings that they place on or at the feet of statues of deities, offerings special food, trinkets, or flowers. Buying opportunities abound outside the temples and often inside as well. 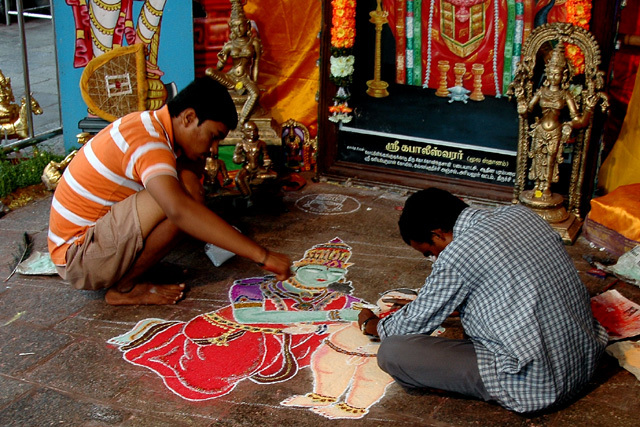 You might encounter devotional singing, dancing, chanting, drawing chalk pictures on the floor, or painting special ornamentation on the resident temple elephant. It’s an incomprehensible and frenetic scene to the uninitiated, but clearly an experience of profound spiritual meaning for the devotees. Periyar National Park and the Western Ghats. The drive from Madurai across the low mountain range called the Western Ghats was the beginning of a whole new world. 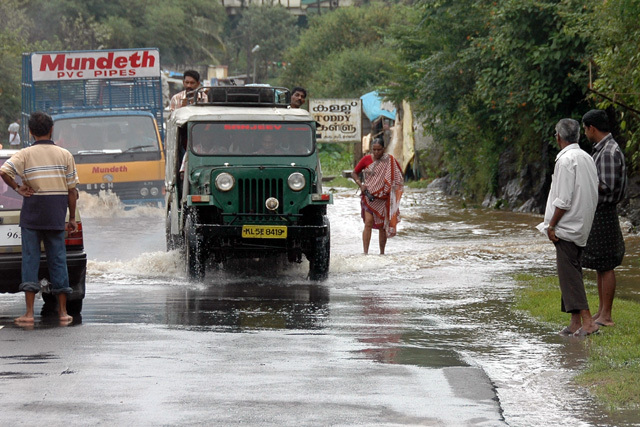 We got to see what happens when it rains in this part of the world – everything flash floods! I presume it subsides quickly, but as we left Madurai, for example, rain overwhelmed their sewers in short order, and water spouting up into gutters and across dirt roads strewn with garbage isn’t a pretty sight. However, with more rain came a far more verdant countryside than we had seen previously and, accordingly, field after field of productive farming. And women did not have to be pumping water from wells and then carrying it miles on their heads in the heat as they did in the dry north. Rain is a good thing when managed! Periyar itself was a beautiful spot: a large lake in the middle of wooded hills, home to Indian elephants, wild boar, and other bird and wildlife. We took the scenic boat-ride in the rain, along with many happy tourists from around India, enjoying the sights, sounds and smells of nature. Driving down the western slopes of the Ghats towards Alleppey was simply fantastic. 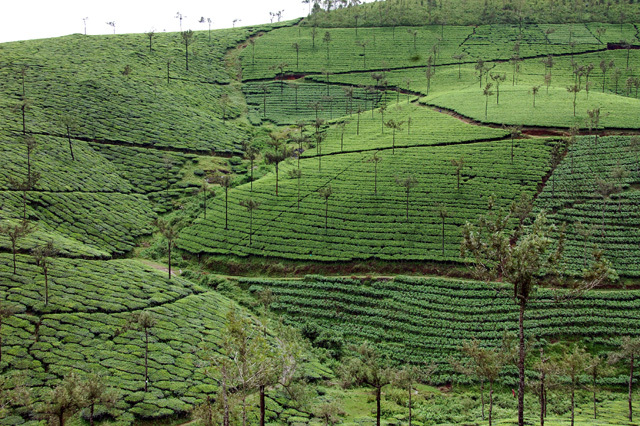 Instead of throngs of people trying to survive we found hillsides of tea plantations, spice plantations, and rubber tree forests. Green, green, green. As we headed further into the state of Kerala, for the first time since being in India we had an impression of well-being on the part of the majority of the population. It was a very good feeling. 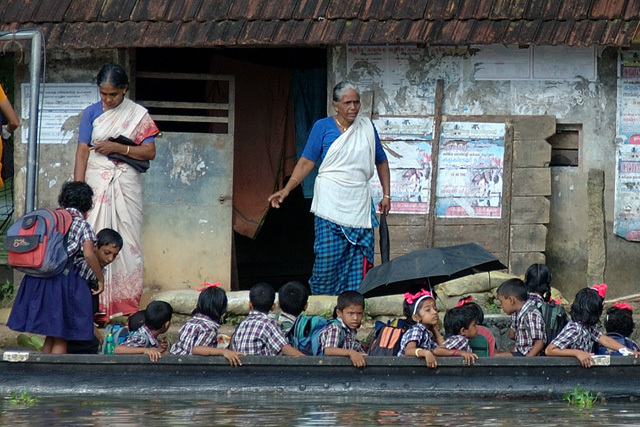 The Backwaters of Alleppy and Kerala. A little bit of heaven. 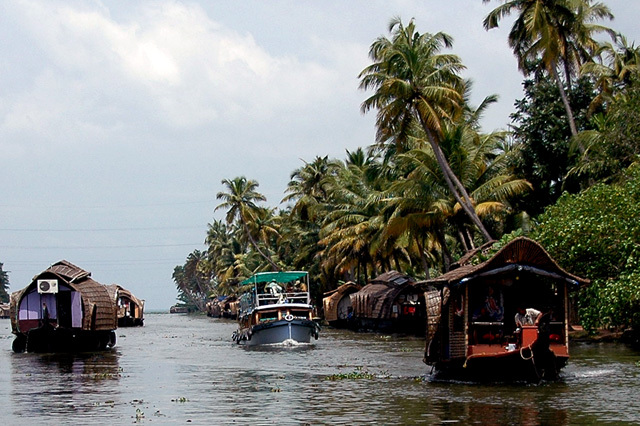 The Backwaters of Kerala are a system of lakes, canals and lagoons that are fed by rivers coming down the Ghats and protected from the Arabian Sea by coastal barrier islands. It presents an environment at once beautiful and peaceful. The people who live on the islands use the waterways for their transportation. The area is famous for its houseboats, which are a favourite of tourists, along with some lovely resorts. We learned that the state of Kerala is the most progressive in India, with very high rates of literacy (92%) and good public health care. It shows. If you find yourself in India and need to decompress, a few days in these Backwaters are just the ticket. Kochi (Cochin). Kochi is the commercial capital of Kerala and its largest city, which is small by Indian standards at 600,000 in the city proper and 2.1 million people in the greater urban area. Its history is fascinating. A port city on the Arabian Sea, it has been the center of the Indian spice trade for millennia, starting with the Sumerians way back in 3000 BC and followed by other Arab seafarers such as Babylonians, Egyptians, and Phoenicians. Jews have a recorded presence in Kerala starting around 500 BC, and the Greeks and Romans began trading with the people here around then as well, especially for the prized black pepper. This area has been well-known to Arabs, Chinese, and Jewish traders since ancient times, and eventually Europeans, first primarily the Portuguese and then the Dutch. Vasco da Gama died here in 1524. 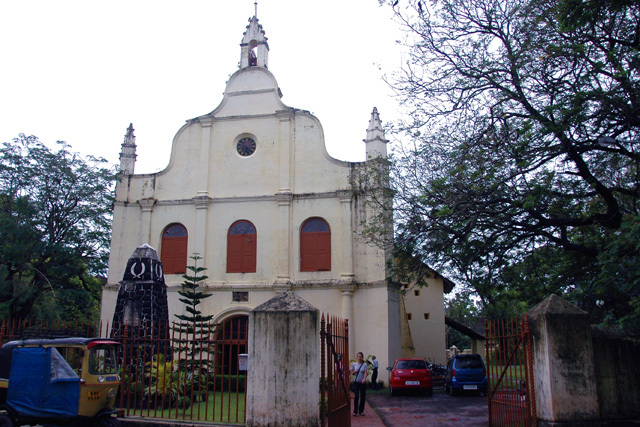 [St. Francis Xavier’s body is buried just up the coast, in Goa.] All of these cultures have left their mark. A 16th century synagogue remains from pre-Portuguese days, the oldest synagogue in the Commonwealth. 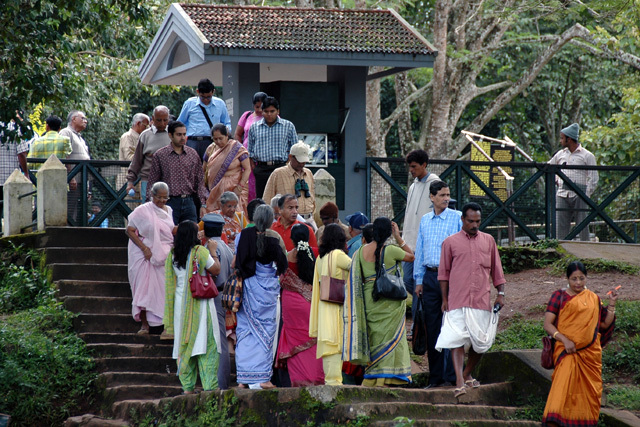 Some beautiful historic churches speak to the high proportion of Christians in Kerala. The religious profile is quite different from the rest of India (56% Hindu, 25% Muslim, and 19% Christian) and, encouragingly, is known for more tolerance between religions. 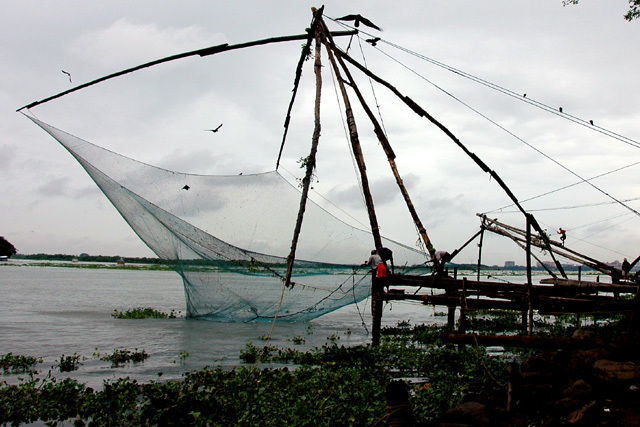 Kochi presents a very different face of India. Mumbai (Bombay). As you can see from the map at the top, Mumbai is really western rather than southern, but it was our final stop and so I include it here. Mumbai is big. Very big. 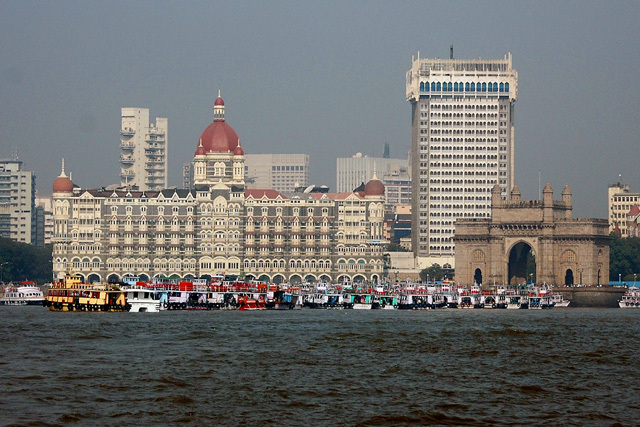 At 20 million, Mumbai is the 4th largest city in the world, and depending on how wide you cast the counting net, it may be the largest. It’s got it all, both good and bad. It has an enormous natural deep sea port, great wealth, beautiful buildings, and true cosmopolitan delights; it’s the economic capital of the country. It also houses among the largest slums, with crushing unemployment and poor sanitation, and political inertia impedes change. So many challenges. 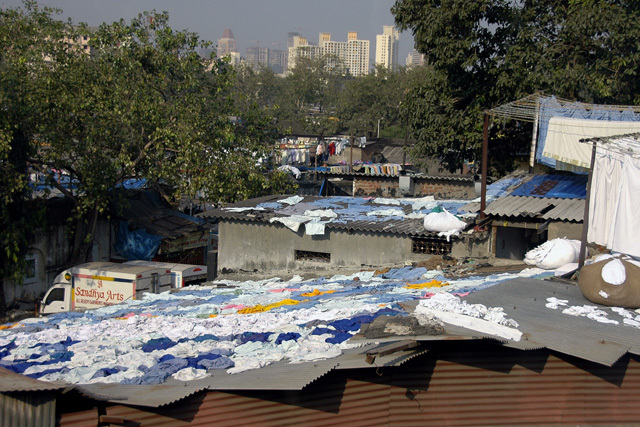 Even so, as with other large cities around the world, people continue to move from the countryside to these slums in the hopes of a better life. They say hope springs eternal. Let’s hope. 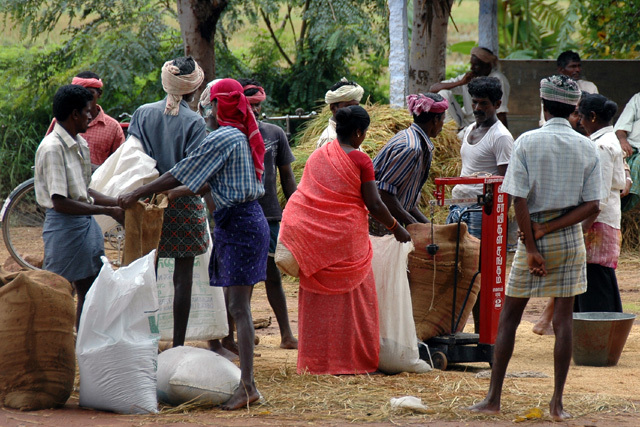 As with northern India, the people of southern India can tell their story best. Let’s see what they have to say. 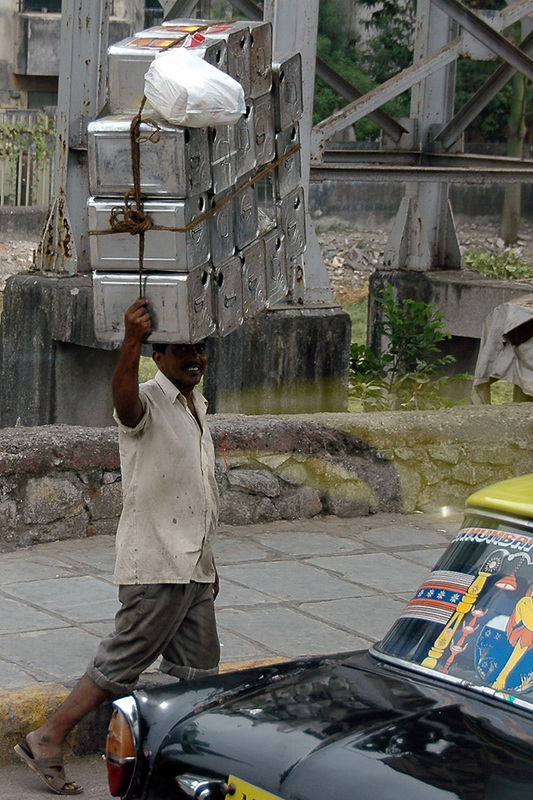 Northern India/Southern India: #5 of our top 5 favourite trips of all time. 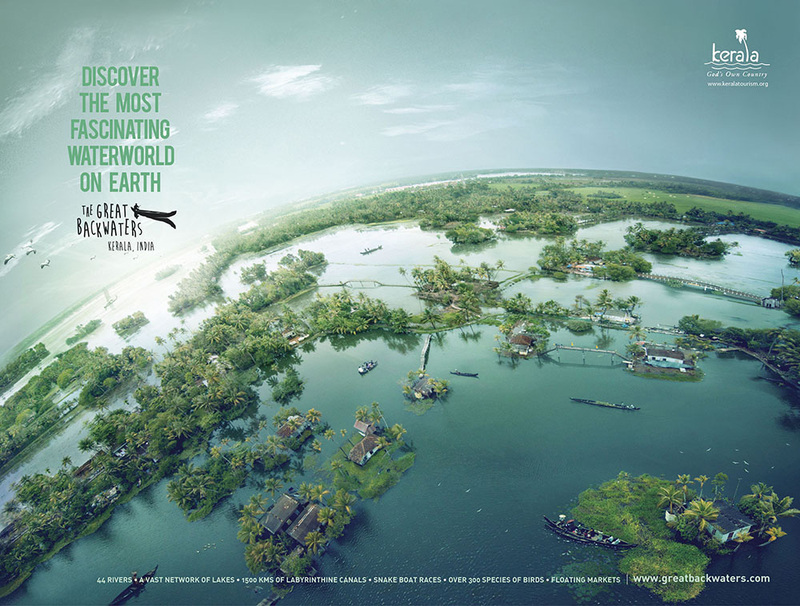 This entry was posted in Travel and tagged Appelley, Backwaters, Chennai, Cochin, economic growth, farming, Hindu temples, India, inspiration, Kerala, Kochi, literacy rates, Madurai, Mumbai, Periyar, photography, spice plantations, spice trade route, tea plantations, travel, Trichy. Bookmark the permalink. Jane, thanks so much for the virtual journey! Although I know it’s difficult to capture so much complexity, you write with vivid detail and make me feel like I’m there. I understand this place I’ve never been a little better because of your post. Thank you! Thanks a lot for your kind words, Kim. There’s complexity aplenty in India; I’m happy if I got some of it across. Thanks very much, Alesia. There is no doubt that after having been there, movies and novels about India (or about Indians living elsewhere but heavily influenced by their culture, which is a prevailing suibject of many novels I’ve read) have a strong impact on me, one I have trouble articulating. India is a very complex place. My urologist is from India. I never think much to ask him of his country. He always has a smile on his face and so concerned about me. I wonder if that is part of their culture as I have gone to many doctors that seem to think of their job as well just a job.. Interesting observation. I wonder. I know that the approach to medicine in India is more holistic than here (not just concentrating on one part of the body in isolation as much), but perhaps the culture as well … of course, it’s just one person (out of 1.2 billion). I’m sure he’d give you an interesting answer! Very impressive! Your description of Southern India is very apt (though Mumbai is considered western India). I’m really impressed with your insight into history and how well you blend it with observation. Excellent job – as someone who grew up in India, I thoroughly enjoyed this post! Thanks so much, Ajay. It is a challenge to write about a place that has SO MUCH diversity, so much history, so much to celebrate, and at the same time so many social and economic issues. So I am particularly pleased that I didn’t offend or make too many mistakes in the eyes of someone who knows. You’re right for sure about Mumbai, and we just ended up there because we left from there. I think I’ll make that change so I don’t confuse people who don’t know the geography.